In the Fall of 2016, CARE began a capital campaign to raise $50,000 to update the playground equipment at the community park. To date, $44,000 has been raised giving the committee funds to replace the 70 year structures with new swings, slides, hopscotch boards and a large climbing net was completed in the summer of 2017. The campaign continues to build momentum as plans to refurbish some old equipment, replace seesaws and mulch fall zones. What was once the W.L. 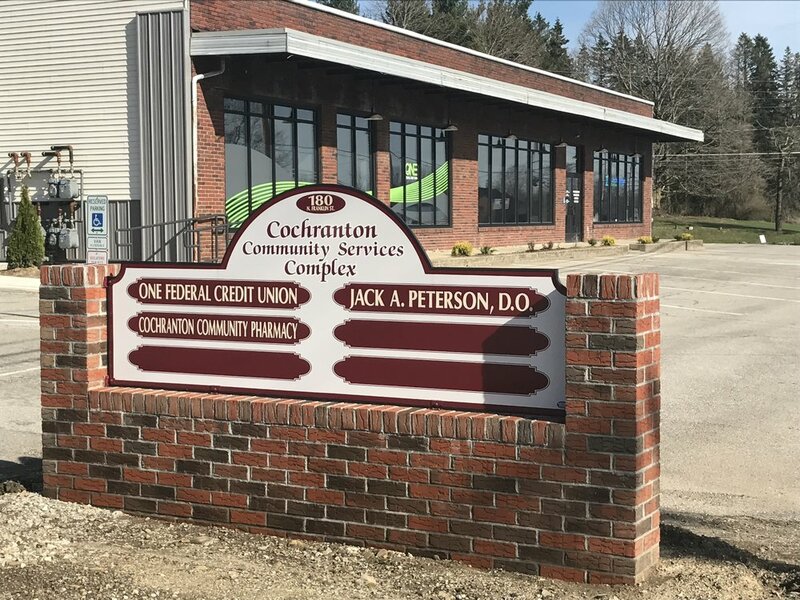 Dunn Construction Co. building is now the new home for the ONE Federal Credit Union, Cochranton Family Practice supporting 2 doctors and the Cochranton Community Pharmacy. With the collaboration between the Economic Progress Alliance of Crawford County and CARE, the new facility has improved services to the community. French Creek is one of Cochranton's greatest assets. The Creek Town Program is a unique collaboration between local municipalities and the French Creek Valley Conservancy that seeks to create positive, sustainable economic growth based around the incredible value of French Creek. CARE seeks to develop our creek access point to encourage the use of the waterway.